Enthusiasm is never a matter of chance. There are certain stimuli which produce enthusiasm, the most important of these being as follows: Occupation in work which one loves best. Environment where one comes in contact with others who are enthusiastic and optimistic. Financial success. Complete mastery and application, in one's daily work, of the Fifteen Laws of Success. Good health. Knowledge that one has served others in some helpful manner. Good clothes, appropriate to the needs of one's occupation. A real man doesn't complain of yesterday, look into your failures and try to do better. Give more passion and have mind that you're going to succeed. Life is full of challenges. Every step in day to day life there are opportunities full of new challenges. Make yourself strong enough to overcome the challenges with commitment & confidence. One can not test success without encountering obstacles with firmness & by giving hundred percent of commitment to endeavor. The successful have proven that in order to reach greatness you need to keep on improving yourself. Skill Up, investing in yourself is the greatest investment you can ever make. Success is achievement of an action within a specified period of time or within a specified parameter. Success can also mean completing an objective or reaching a goal. Never shy off to take action with confidence & live your life as you have dreamed for. If you can not seek out the ways for your success, jump over the wall. 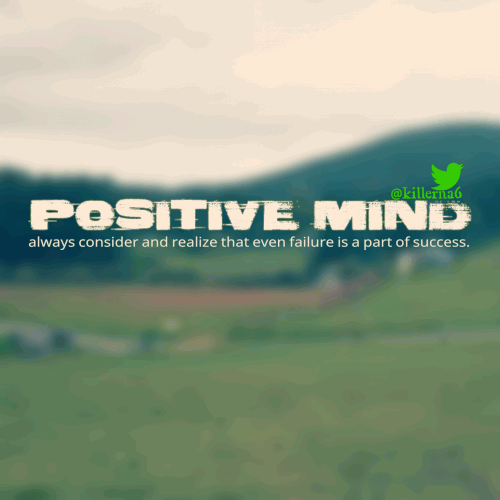 Positive mind always consider and realize that even failure is a part of success. Don't be afraid to try something. 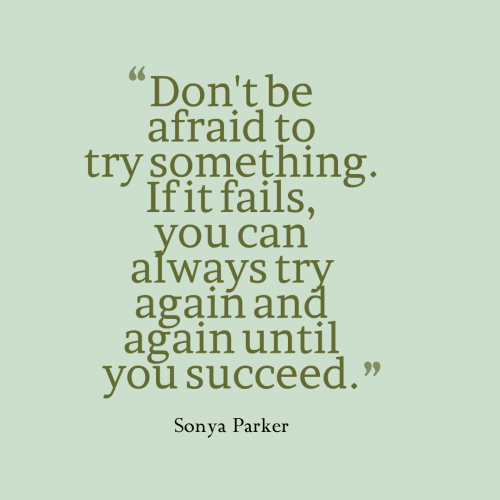 If it fails, you can always try again and again until you succeed. 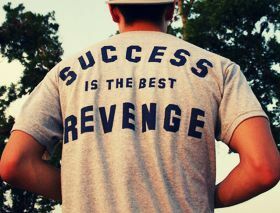 Success breeds success. As you reach your goal, you will build a positive association in your mind & will increase positive feelings about the task and course. If you don't meet the goal, move on and don't dwell on the past. You have the jewel of a present & a clear future. It is up to you to take control & become a pioneer of tomorrow. It is never too late to jump off to the other side of the fence to grab the opportunity. Everything that you need to become successful is inside you. Success does not happen overnight it is the result of continuance endurance and hard work. People who have tasted success will like to taste it again and again. Success is a combination of thoughts, words and actions. Luck has no role to play in success. Only hard work pays. If at all luck plays a role it is only temporary. Aristotle says, “It is possible to fail in many ways while for success it is possible only in one way”. Hurdles and failures are the stepping stones to success and from failure to failure we have to proceed with unquenched enthusiasm and zeal to attain success in our endeavours. Arnold Glasgow gives the simplest route to success thus” success is simple. Do what’s right the right way at the right time”. There are numerous quotes that are highly inspirational and motivating in attaining success. Read them and share with your friends and others.